Actors rehearse a scene while "Earplay" Director Karl Schmidt and Technical Director Don Voegeli monitor the recording. Journalists have suggested that we are currently in a “golden age of audio.” Popular-culture critics see the success of long-form narrative podcasts as evidence that we are in the midst of a revival of audio storytelling that harks back to radio drama from the classic network era of the mid–20th century, when audio plays ruled the airwaves and broadcast ratings. While some have observed that this trend creates an innovative opportunity for digital advertising, it is noteworthy that public radio is playing a pivotal role in this creative soundwork renaissance. Yet if we look to the history of public radio, it becomes clear that this is no renaissance. Rather, it continues the ongoing legacy of public radio stations as spaces that have provided opportunities to produce audio storytelling. Indeed, Wisconsin Public Radio’s Earplay, a nationally syndicated series, came to be a pioneer of post-network radio drama when it first began airing in 1971. I use the term “post-network” here to distinguish the historical context of the radio in the 1970s: as a medium and industry no longer understood as the dominant domestic source for scripted entertainment, as it had been during the radio network era of the 1930s through the ’50s. Post-network radio in the U.S. in the 1970s had come to be dominated by formatting and assumptions that audiences were passive listeners. 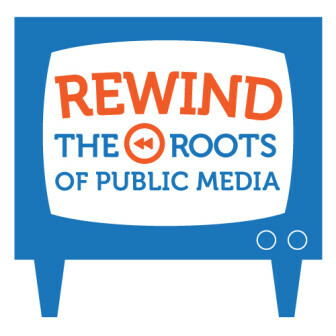 Public radio, since its origins in educational and community radio, assumes more of its listeners, producing and distributing complex and compelling programming that engages audiences actively. This innovation extends beyond news and current affairs programming to storytelling, and Earplay’s history at WPR is a reminder of how public radio stations have always been important spaces for the production of experimental creative soundwork. Radio syndicators of the mid-20th century found success in the early 1960s rebranding classic radio shows like The Shadow and The Green Hornet as “old-time radio” and selling them as a packaged bundle market to market. Syndicator Charles Michelson Inc. sold radio reruns to over 300 stations by 1974, capitalizing on mid-century nostalgia and local stations’ hunger for ad revenue granted by repurposing cheap, highly produced classic radio. The success and high ratings these “old” radio shows achieved demonstrated to the commercial networks the continued popularity of radio plays. 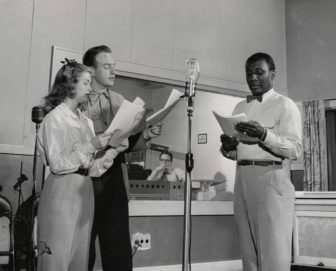 In 1973, New York Times critic John J. O’Connor announced that a new trend had appeared in radio — the “revival of radio drama.” At least five new scripted radio dramas began airing from 1973–74, including Hollywood Radio Theater’s Zero Hour on Mutual and the Mutual Black Network’s African-American soap opera Sounds of the City. Twenty First Century Communications was syndicating the National Lampoon Radio Hour to 104 stations around the country, and CBS Radio was distributing its anthology program CBS Mystery Theater to affiliates and independent stations. Schmidt went on to explain his goal and vision for Earplay and to discuss the prominent playwrights and actors involved with the show. He was not wrong; in fact, while commercial radio dramas had perhaps received more mainstream attention, Earplay predated these commercial productions by several years. From 1971–81 it demonstrated the significance of public radio member stations to the production of radio drama in the U.S. during the post-network era. Earplay was a product of public radio’s decentralized programming structure and noncommercial production environment. 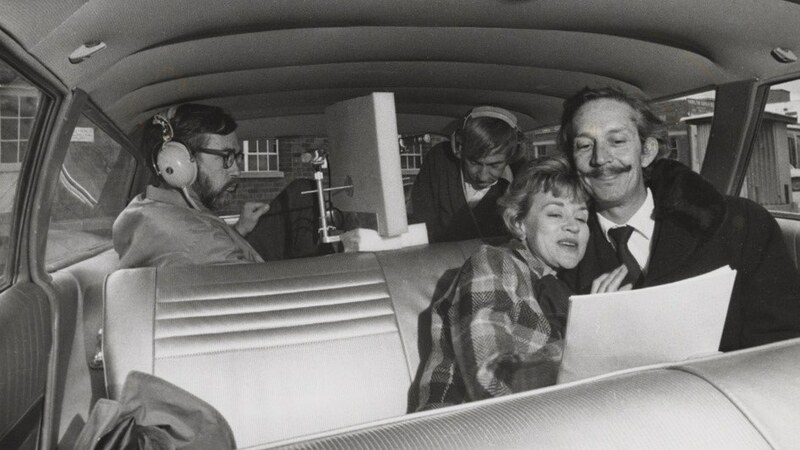 Many of the radio dramas produced in the late 1960s and ’70s were short-lived, as commercial radio producers and the sponsors they sold ad time to did not believe radio storytelling appealed to a mass audience. Post-network commercial radio producers feared that distracted audiences looked to radio as a secondary medium for background music. Indeed, the risk commercial radio network producers associated with the production of radio drama perhaps encouraged the production of Earplay, as its producers understood their work on the program as a public service that provided listeners with content unavailable elsewhere in the U.S. And when Schmidt began producing Earplay in 1971 at WPR in Madison, it was the only contemporary dramatic radio show nationally distributed in the U.S., as part of NPR’s à la carte programming offers to member stations. 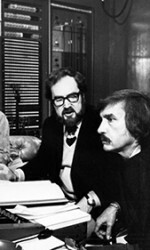 Like other radio producers of the 1970s, Schmidt was unsure whether radio listeners still had an attention span for longer scripted radio dramas. He originally pitched Earplay as a 10–15 minute program with strong plotlines to keep listeners engaged, although the show expanded to an hourlong weekly format in its second year. 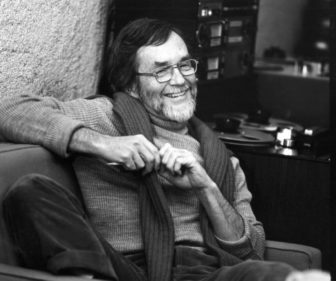 Schmidt and his team named the program “ear play” to emphasize their vision for the show as a space for contemporary writers to write dramatic plays for the ear, to play with sound and to experiment with the creative possibilities of radio. Indeed, Schmidt intentionally eschewed the commercial and now dated aesthetics of classic network radio plays, aesthetics that CBS Mystery Theater and other revival shows incorporated. He saw Earplay as the modern incarnation of radio drama. 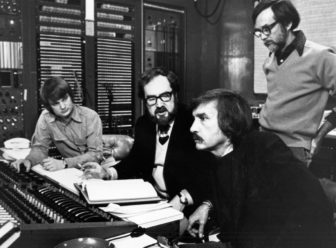 Tom Voegeli, John Tydeman of the BBC, Edward Albee and Karl Schmidt work on an Earplay production of Albee’s play “Listening” ca. 1975–76. Free from the constraints of commercial radio, whose economic imperatives in the 1970s were heavily influenced by fragmentation, format radio and, of course, ratings and advertising potential, Earplay contributed to public radio’s service mandate by creating an experimental space on radio for young up-and-coming playwrights to practice crafting work written for the ear. This intention was certainly realized, and contributing playwrights included Edward Albee, David Mamet and Archibald MacLeish. Furthermore, several of the plays commissioned by Earplay were so successful that they were later adapted into stage plays, films or television. Many of Earplay’s episodes were co-productions with European producers, and the program became part of the International Commissioning Group of European Radio Drama Producers. This partnership allowed Earplay’s producers to share financial costs and attract European playwrights, such as Tom Stoppard, who wrote the 1972 episode “Artist Descending Staircase” as a joint effort broadcast on both the BBC and Earplay. The noncommercial production culture of public radio and the funding afforded by transnational co-production arrangements allowed Earplay to pursue artistic and experimental radio productions totally different from anything else on U.S. radio in the early 1970s. NPR’s funding structure and pushes within the organization to centralize publicly produced radio drama contributed to Earplay’s cancellation in 1981. This shift began in 1978 when leaders at NPR persuaded Earplay’s producers to stop applying for funding directly from CPB and the National Endowment for the Arts. Instead, NPR would apply for a larger grant for more radio drama programming and function as a clearing house for programming funding. NPR incorporated Earplay into its larger “Drama on Public Radio” proposal to the NEA in 1979, but Earplay’s funding was completely cut when this funding proposal was denied. Karl Schmidt records University of Wisconsin students performing a radio show. There would be several other prominent forays into public radio drama, including adaptations of both Star Wars and The Emperor Strikes Back in 1981 and 1983. These infamous public radio productions used Earplay’s co-production model, as both were joint ventures between Los Angeles–based KUSC and the BBC. Here, too, the KUSC member station was essential to the production because it was part of the University of Southern California, which led USC alum George Lucas to donate the use of sound effects from the films to these productions. Member stations are also using these storytelling shows as a way to invest in digital-only distribution through podcasts. Modern Love from WBUR in Boston shares tales of love, loss and redemption. Additionally, KCRW has invested in two narrative-driven podcasts: Nocturne, which blends documentary, fiction and sound art into stories about the night; and Here Be Monsters, which uses visceral storytelling to explore the “dark corners of the human mind and new frontiers in science, art and philosophy,” according to its website. These examples demonstrate how member stations remain a significant force in pushing the boundaries of creative storytelling in this digital era of self-scheduled, mobile and innovative public radio. Eleanor Patterson is an assistant professor of media studies at Auburn University and co-chair of the Gender & Sexuality Caucus of the Radio Preservation Task Force.